Welcome to the seaside community of Leucadia, located west of the I-5 in beautiful Encinitas. This quintessential beach house is located within walking distance of shops and restaurants along Highway 101, and just a short trip to Beacon'™s Beach, Grandview or South Ponto for surfing and volleyball. The newly renovated kitchen is a chef'™s dream with quartz countertops, carrera marble backsplash, soft close cabinets and high-end appliances. Don'™t miss your chance to live the beach life, Leucadia style. Directions:Berkshire Hathaway for sale sign located on Hermes Ave. Look for yellow house. SchoolsClick map icons below to view information for schools near 1243 Hermes Avenue Encinitas, CA 92024. Home for sale at 1243 Hermes Avenue Encinitas, CA 92024. Description: The property at 1243 Hermes Avenue Encinitas, CA 92024 in the West Of I-5, Leucadia subdivision with the MLS# 190006909 is currently listed for $1,535,000 and has been on the market for 78 days. 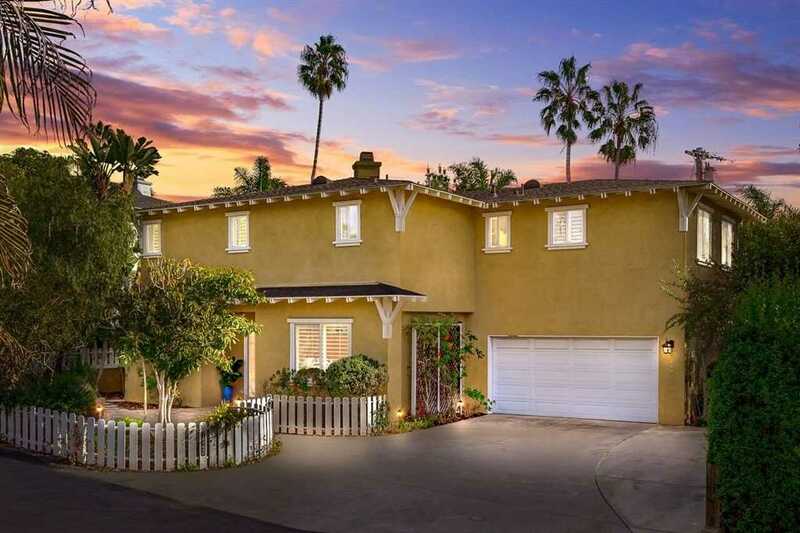 You are viewing the Sandicor listing details of the home for sale at 1243 Hermes Avenue Encinitas, CA 92024, which features 4 bedrooms and 3 bathrooms, and 2425 sq.ft. of living area.